As a result, it is critical that you choose an activated carbon solution that maximizes recovery. Our activated carbon products for precious metal recovery accomplish your goal of achieving maximum profits by reducing loss and improving yield. For gold recovery circuits, it is essential that the activated carbon employed provides excellent process performance, minimal attrition loss and minimal maintenance problems. 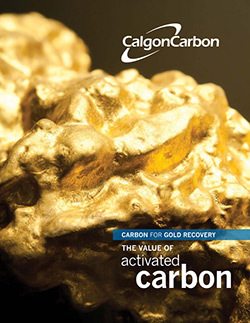 Significant improvements have been made in the still evolving carbon-related technologies for gold recovery. Calgon Carbon’s experiences in the last decade have provided great advancement in our knowledge of the adsorption process and carbon specifications.